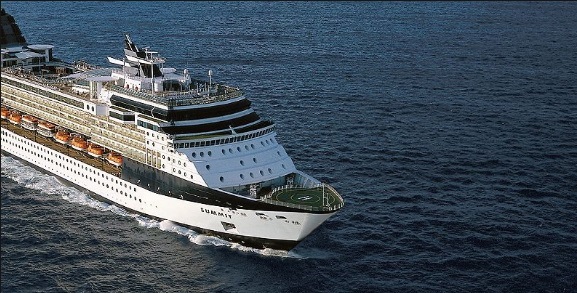 The Celebrity Summit reached the peak of modern luxury with a grand makeover in March 2016. Our first Rooftop Terrace provides a chic new way to experience the great outdoors with creative cocktails, favorite snacks, and movies alfresco. Craving Italian? Tuscan Grille serves up fresh pasta and succulent dry-aged steaks. Enjoy an unordinary dinner at the innovative Qsine®, then top off the night with a chilled Peartini at the ice-topped Martini Bar. The Penthouse and Royal suites have limmering new marble touches, elegant fixtures, plush seating, and more. Celebrity Summit has the privilege of being captained by first American woman to command a cruise ship, Captain Kate McCue.